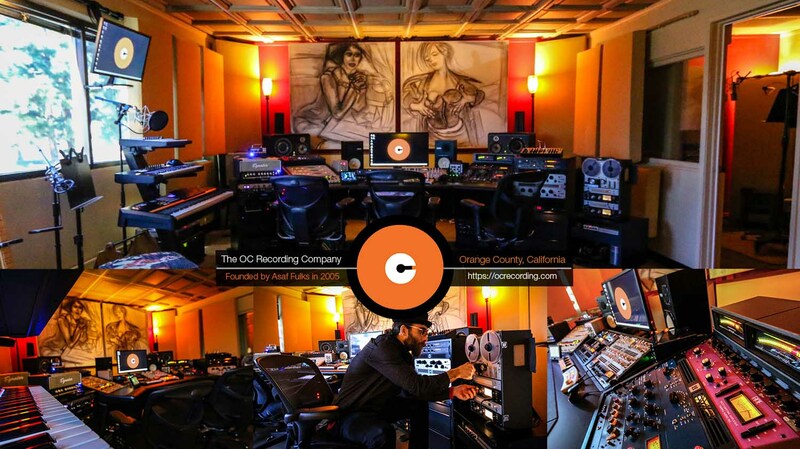 The OC Recording Company is a record label, music publisher, recording studio and accredited audio school in Orange County, California. Founded in 2005 by recording artist, songwriter, music producer, audio engineer, graphic designer, website designer, videographer, inventor, author and educator Asaf David Fulks. Originally from Chicago, Illinois, Asaf discovered his passion for music production during his college years studying Computer Science and Economics at Denison University in Ohio. He converted his dorm room closet into a recording booth and began to teach himself the craft of music making. 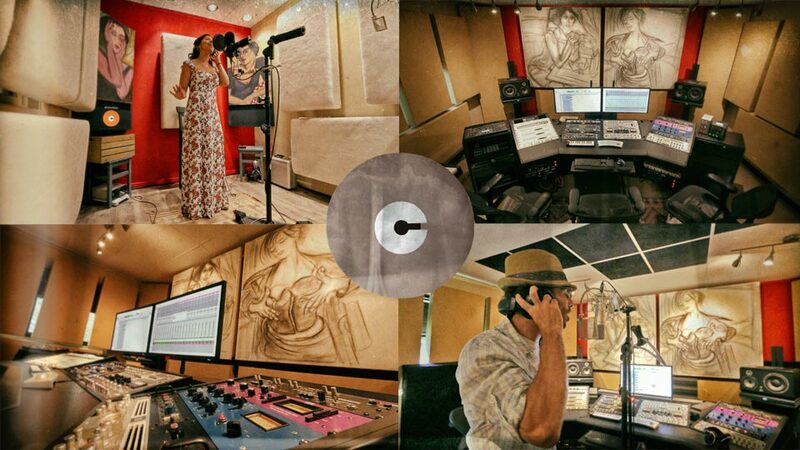 Soon Asaf became a hub for recording within the school and surrounding Columbus area. After graduating in 2004, he moved to his family in Hollywood and eventually relocated to Orange County to work for a book publisher. His boss recognized his passion for music and encouraged him to set up a studio in his unused office space. 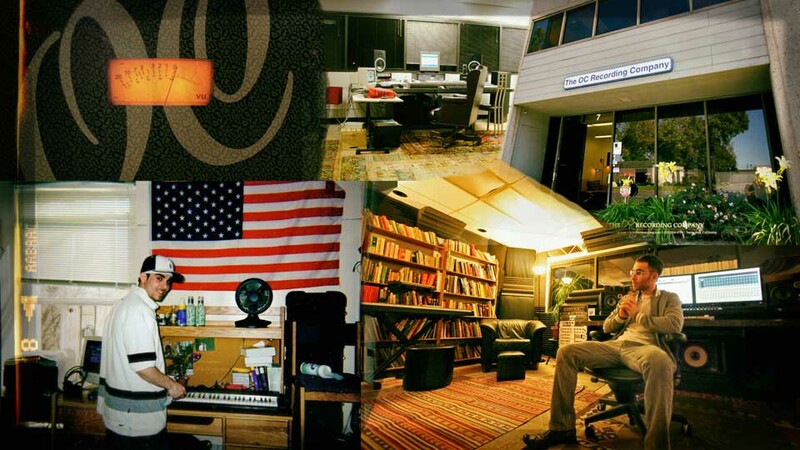 With minimal gear and few contacts Asaf set up shop and The OC Recording Company opened its doors in 2005. Asaf's first client D1, a rapper from Boston, was also new to OC, and together they completed projects with well-known hip hop artists AZ and Royce D'59. Asaf launched hiphopbeatz.com and helped D1 secure a record deal. It was a great start! Word of Asaf's talent spread and soon he was booked weeks in advance with a range of projects, from solo artists to full bands. He poured his earnings back into studio improvements and expansions. 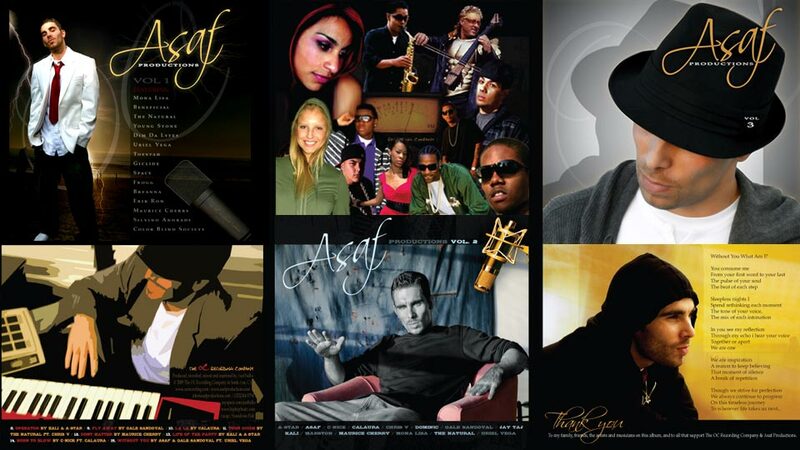 In 2007, he produced musicforte.com's song of the year for the Medallions, several of his artists won OCMA awards and he was featured in The OC Weekly. His first compilation album won him the title "Timbaland of the West Coast." By West Coast performer magazine. Asaf continued to develop as a music producer and engineer. He received placements on feature films Adam Sandler's Chuck and Larry and Disney's Sorcerer's Apprentice. He composed scores for award winning films, radio shows and engineered for platinum and Grammy winning artists Lil Wayne, Young Jeezy, Tyga, Kendrick Lamar and others. In 2010, Asaf Fulks recorded, mixed and mastered the international hit song Baby June by Moe Rock! Asaf’s third album released in 2011, featured the hit song ‘Breakout’, which become the theme song for The LA Clippers and St. Louis Cardinals. The song was also featured on ESPN Capital One Bowl, Showtime's The Franchise and Oxygen's Bad Girls Club. Asaf became a Grammy voting member; AES member, Avid Pro Tools / Waves certified and received his US Patent for Microphone Stand Technology. 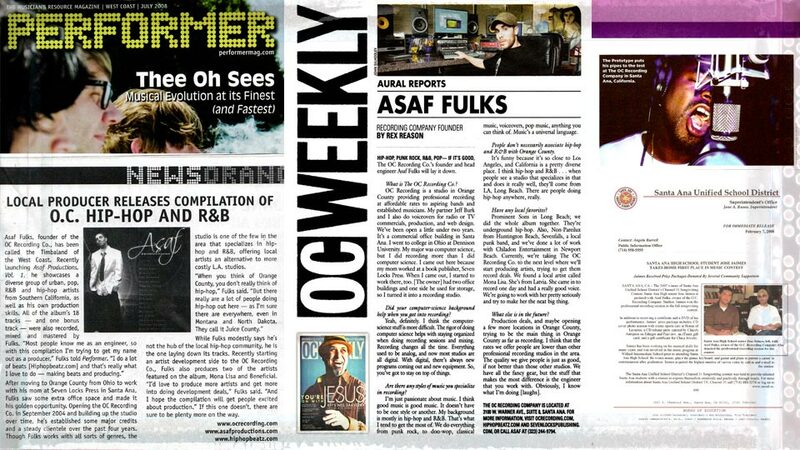 In 2012 The OC Recording Company won The OC Weekly's Best of Award--Best Recording Studio in Orange County! in 2014 OC Recording received Best Recording Studio in Santa Ana Award! Asaf authored the book The Studio: Audio Engineering and Music Production Techniques. 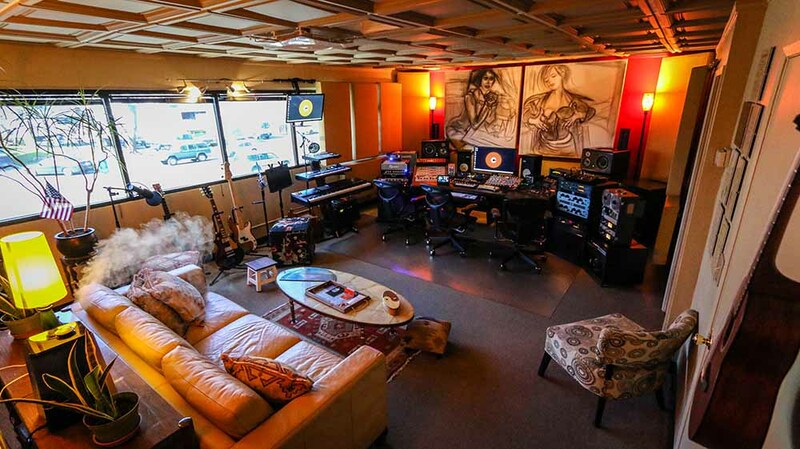 In 2013, after years of experience, he opened The OC Recording School: Audio Engineering and music Production Certificate Program, accredited by the NPSAG for The OC Recording School. 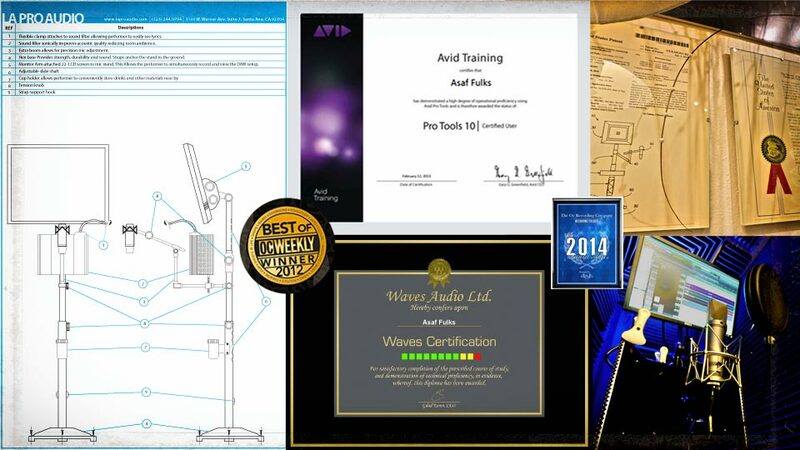 The school provides one-on-one instruction, Waves Audio Certification, hands on Avid ProTools lessons and training in Native Instruments Maschine. He has mentored hundreds of students. Many have gone onto successful careers in audio including Graduate student Carlos Almeida Jr. who earned a position in the sound department of major video gaming company Blizzard after graduating In The Studio with Asaf Fulks. Graduate student Josh Robin works alongside Asaf at OC Recording as a co-producer, songwriter, engineer and private tutor to students. In 2014, Asaf produced, recorded, mixed and mastered Skylar Stecker "Back Around" which has over 3 million views on YouTube! He mixed and mastered three #1 hit records written by Meghan Trainor: "Your Turn" and "Before You Go" by Common Kings and "Flava" by Tenelle. In 2015, Asaf produced the song Get Down for Whosoever South which reached the Billboard Christian Rock charts! 2015 also marked OC Recording's 10 year anniversary. In honor of this milestone, Asaf completely remodeled Studio A. In 2016-2017, Asaf released 14 original singles which he wrote, composed, performed, recorded, mixed, mastered and created music videos for including "We Belong at the Top", "Run", "Holdin' Me Down", "Collide", "24/7/365", "Sunny Days", "Most of It Now", "Green Roses", "Down With The King" and "Cry For You" off his debut solo album OC Express! 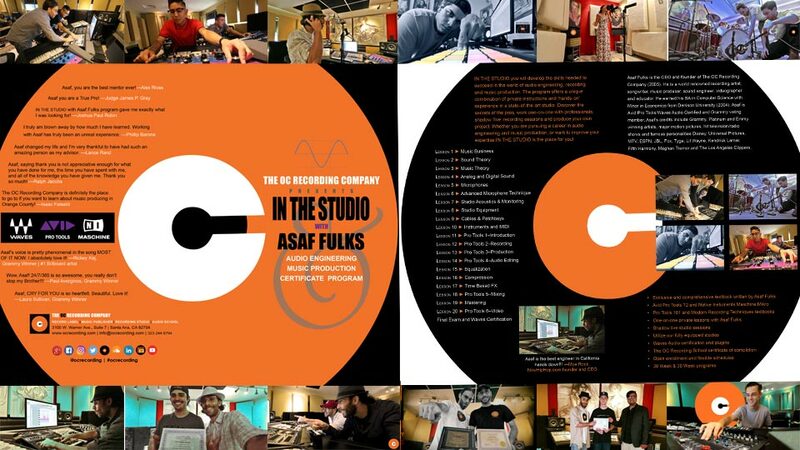 In 2016 Asaf launched the educational YouTube series IN THE STUDIO with Asaf Fulks which provides tips and techniques on audio engineering and music production. These videos also compare a variety of audio equipment and give watchers an inside look at how he works at The OC Recording Company. Asaf realeased his instrumental collection and Asaf Production on trilogy on YouTube. He also launched behind the scenes footage at OC Recording, interviews and live venue performances in Asaf Fulks and Friends. 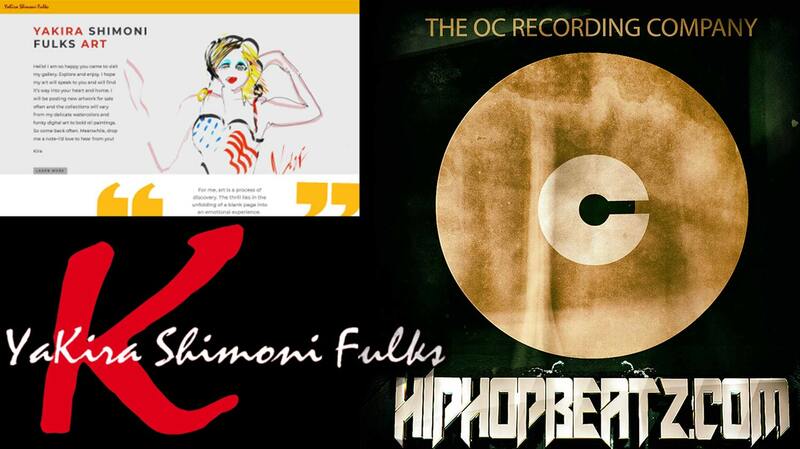 Asaf helped many of his students release songs and music videos under The OC Recording Company label including Josh Robin, Sage Roberge and Ako. Ako's debut single "Never Giving up on Love"ft. Lauga Gauta has earned over 250k views on facebook. 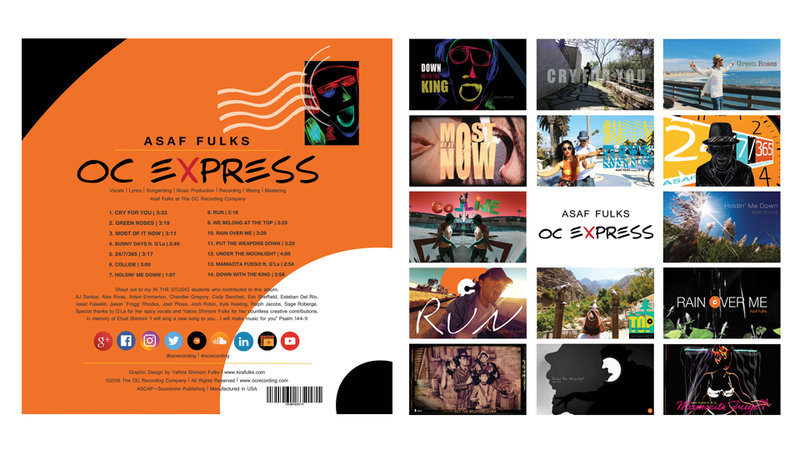 Asaf Fulks was named Now Hip Hop Magazine and thisis50.com 2016 Producer of the Year! In 2017, Asaf enrolled in Taft Law School to study entertainment law in order to eventually add it as a service under OC Recording. 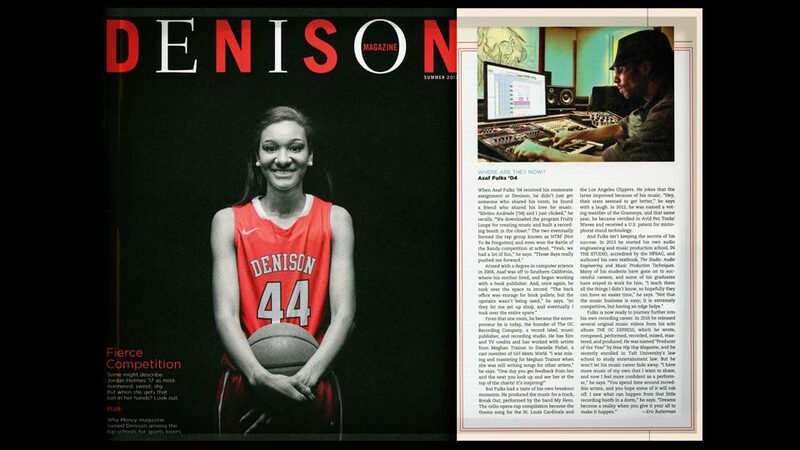 In July 2017, Asaf's alma mater Denison University wrote an article about him in Denison Magazine! In 2018, Asaf completed his first year of Law School and passed the California Baby Bar examination. He then released LOST DISCS - a compilation of music he produced and engineered at Denison University from 2000-2005 and at The OC Recording Company from 2005-2018. 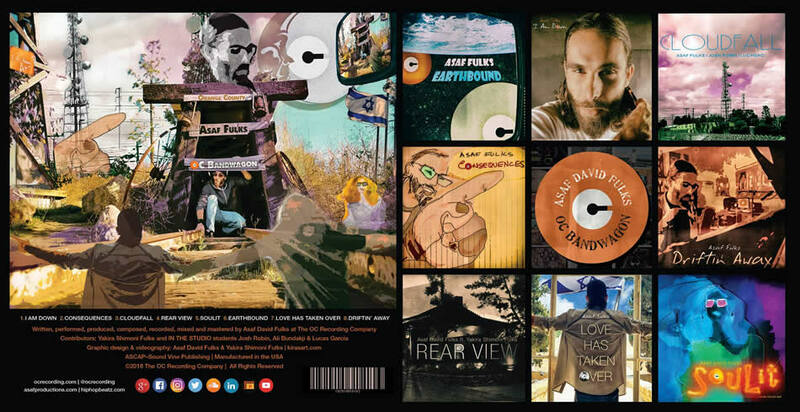 In 2018, Asaf released his second solo album OC BANDWAGON which he wrote, composed, performed, recorded, mixed, mastered and created music videos for all 8 songs. 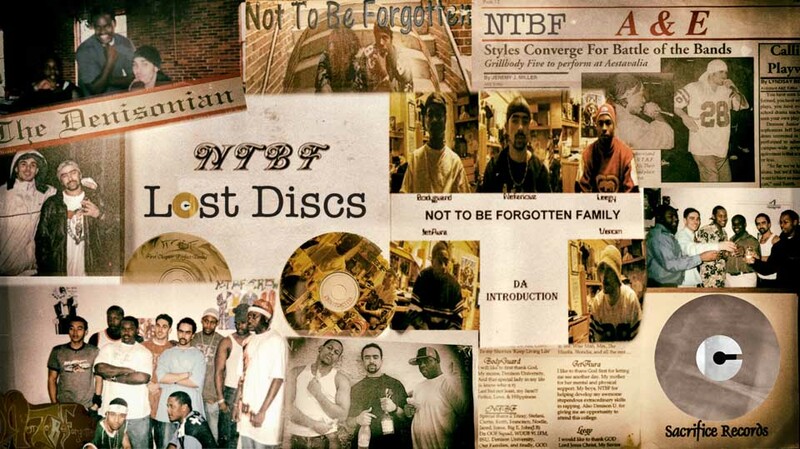 The album includes hit singles "Earthbound", "Cloudfall", "Driftin' Away" and "I Am Down", "Consequences" and "Rear View ft. Yakira Shimoni Fulks"
View Asaf's discography at discogs.com and IMBD.